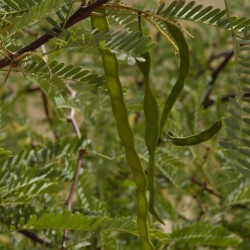 The Chilean Mesquite is a medium-sized tree, native to Chile, where it grows under extreme conditions, and for this reason it is also suitable for planting in Arriyadh, although it is not nearly as often seen as its relative, P. juliflora. 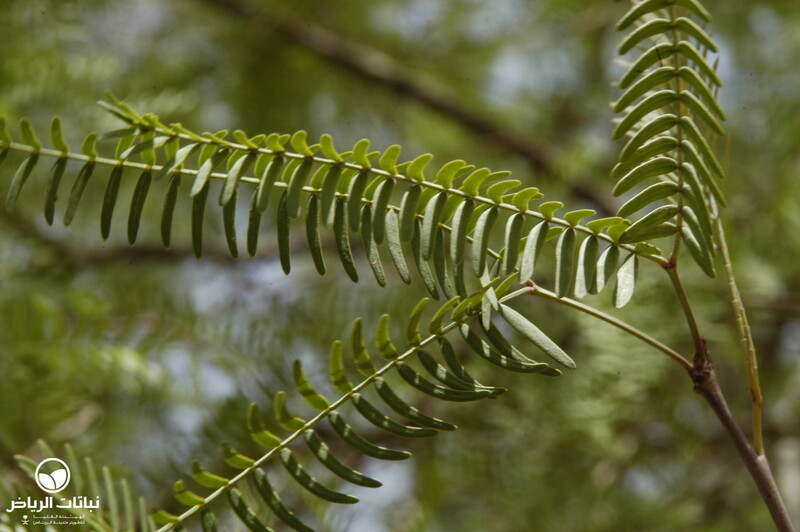 Symmetrical, fast growing to 9 metres high and an equal spread, it has an open crown, is more upright than juliflora and has bright-green, fine-textured foliage with widely spaced leaflets. 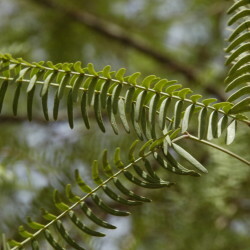 The twisted trunk has smooth bark when young, becoming darker and rough with age; some young specimens have very large white thorns. The flowers are moderately showy, cream- to yellow-coloured. 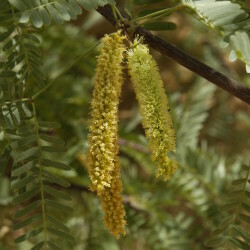 Catkin flowers bloom in spring or early summer, followed by slightly curved pods 12 cm long. 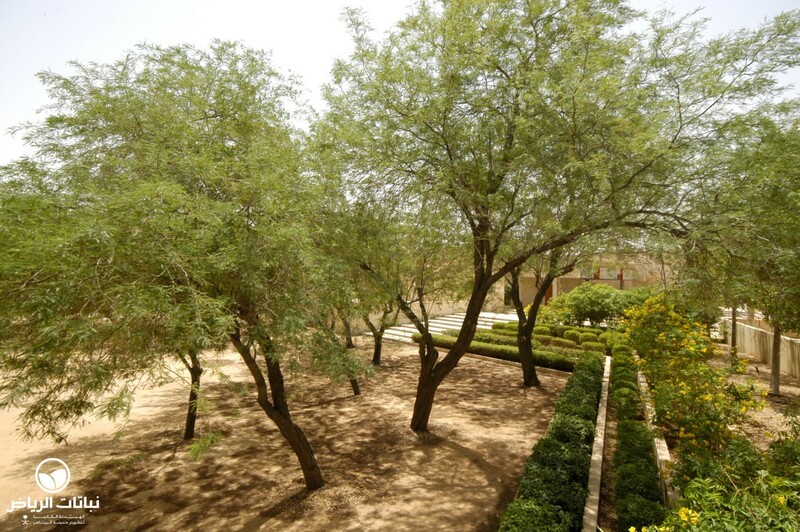 Trees require full sun, and reflected heat; they are frost-resistant, but will lose leaves with sharp cold and keep leaves in warmer winters. 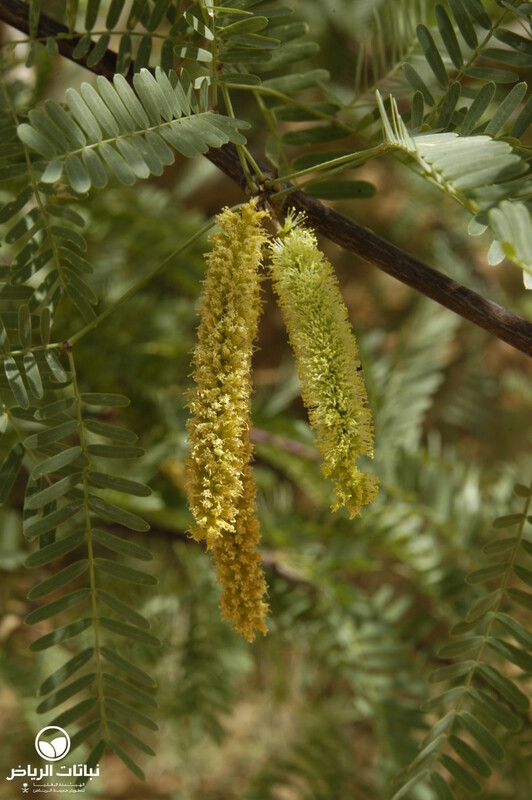 This species can grow in most extreme conditions such as saline soils and drought; little to no supplemental water after establishment, but occasional deep irrigation, will improve its appearance. It adapts to most soils with good drainage. Propagation is by seed or cuttings. Maintenance requirements are high owing to pod, flower and leaf litter, and pruning to remove crossing and sprouting lower, thorny branches. 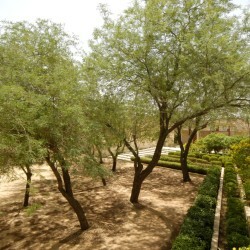 P. chilensis is a good choice as a shady tree for a garden or natural landscape. 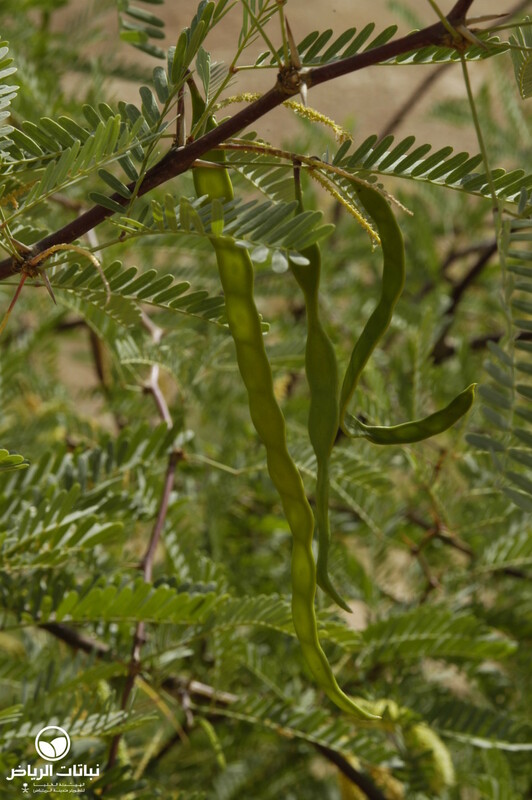 P. cineraria, almost native to the edge of the Ruba Al-Khali and Oman, is a further Prosopis species which could have potential for use in Arriyadh.